The Microsoft Surface Pro launched this month, bringing the premium version of Microsoft’s first PC hardware effort to the market. Where the Surface RT ran a lightweight version of Windows 8 that didn’t support legacy hardware and offered up a slim build to compete with other media tablets on the market, the Surface Pro offers a thicker tablet that is otherwise the same dimensions and runs the full Windows 8 experience. It aims to offer users a two-in-one solution – buy this instead of buying a laptop and a tablet. But CIO’s Rob Enderle is unimpressed after using his review model for a couple of weeks. Enderle’s main criticisms are that the keyboard covers are sturdy enough and the battery life also fell short. But I found the Surface Pro to be one of the most versatile and reliable devices I’ve used in a long time. I was able to work with it while riding transit (sitting or standing), attending meetings, or at my usual desk workstation. The Surface Pro doesn’t have a lot of ports, but just enough to be useful. You can plug an external mouse and keyboard into the USB port, and hook up a secondary monitor to the mini display port and you’ve turned it into a very comfortable desktop experience. The option of either the touch cover or the type cover give you lots of ways to type on the device while on the go, and the covers attach to the tablet with ease and stay fastened very reliably. The Surface Pro is noticeably thicker than the Surface RT. Having the ability to install my legacy Windows programs was also great. I find the Surface RT practically unusable because of the Windows 8 apps falling short of my needs and expectations. It’s a relief to know that if I don’t like the touch version of an app, I can just install the desktop version instead. 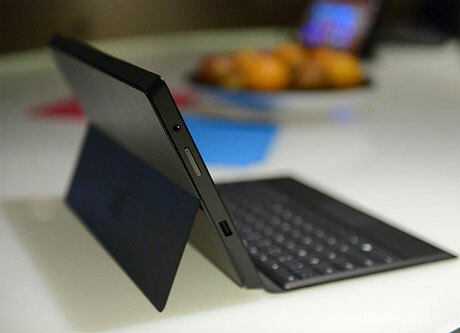 Certainly, the Surface Pro v 2.0 will improve upon this product as Enderle says. But the Surface Pro can offer a lot to users in its current form. Check back with us next week when I’ll have my “All Hands on Tech” video review of the Surface posted. Is Marc Garneau's idea to boost startups just a tax cut for the rich?